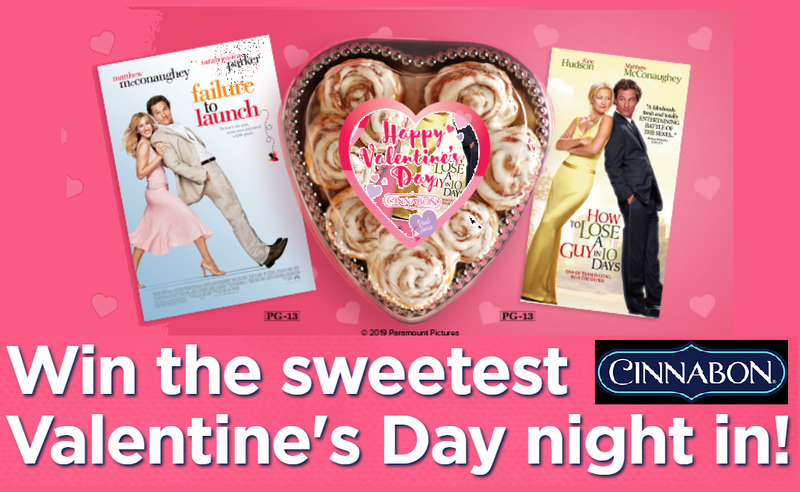 Official Rules for the Cinnabon® Valentine’s Day Sweepstakes: Promotion Prizes. 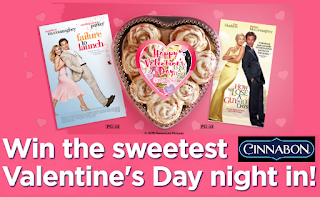 The Prizes are listed below (collectively the “Prizes”) and Sponsor will award one hundred (100) Grand Prize Winners and nine hundred (900) runner up winners as follows: a) Sponsor will send the Grand Prize Winners a Heart CinnaPack from Sponsor’s e-commerce site, having an approximate retail value of $45.99; b) Sponsor will email the Grand Prize Winners one digital copy code good for two movies, having an approximate retail value of $27.98 c) Sponsor will email 900 Runner Up Winners one digital copy code good for one movie, having an approximate retail value of $13.99. Approximate retail value (“ARV”) of Prizes: $19,988.